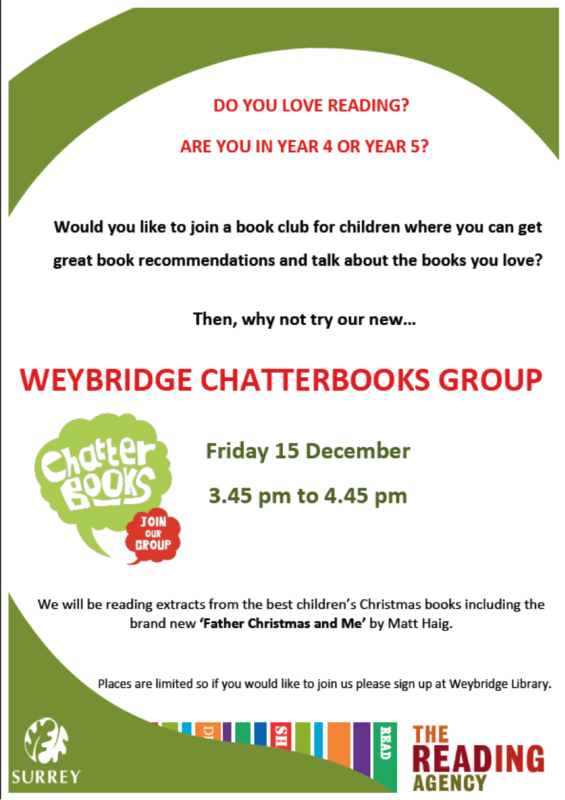 Weybridge Library are hosting a taster Chatterbooks session on Friday 15th December for children in Year 4 and 5 who love reading. We'll be reading extracts from the brand new 'Father Christmas and Me' by Matt Haig and other great christmas books. If you love reading and would like to join our new group next year please come along to our taster session. Please sign up in advance at Weybridge Library.